functioning as the predicate or by inserting the negative quantifier no into a noun phrase. In German, sentences can similarly be negated by inserting the negative adverb nicht into German sentences or by inserting the indefinite article kein into a noun phrase. However, whereas English prefers sentence negation through the use of the adverb not, German prefers negation through the use of the indefinite article kein. The German articles are used similarly to English articles specific (definite) nouns or general (indefinite) nouns. However, the German language also contains a third article, the indefinite article kein. In additional to the German articles that translate to the English articles the and a/an, German also contains the indefinite article kein. Roughly translating to the quantifiers no, not a(n), or not any in English, the indefinite article kein is used similarly to the other German articles to provide additional information about a noun. 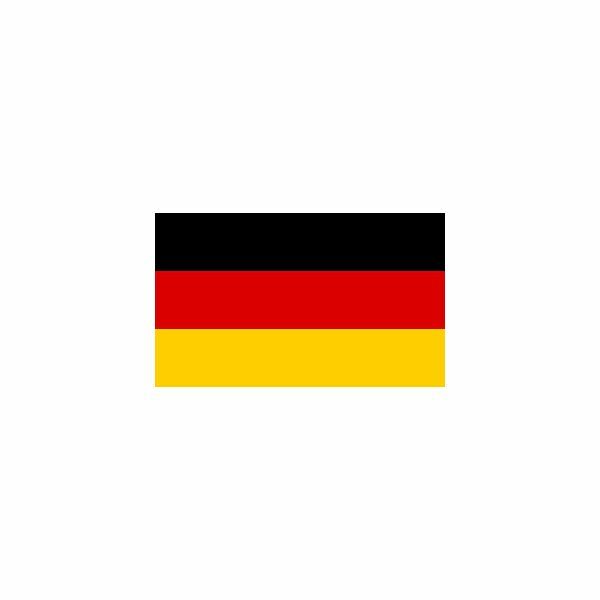 Like other articles as well as nouns, pronouns, and adjectives in German, the ending of kein changes to reflect both the grammatical gender and the grammatical case of its noun. 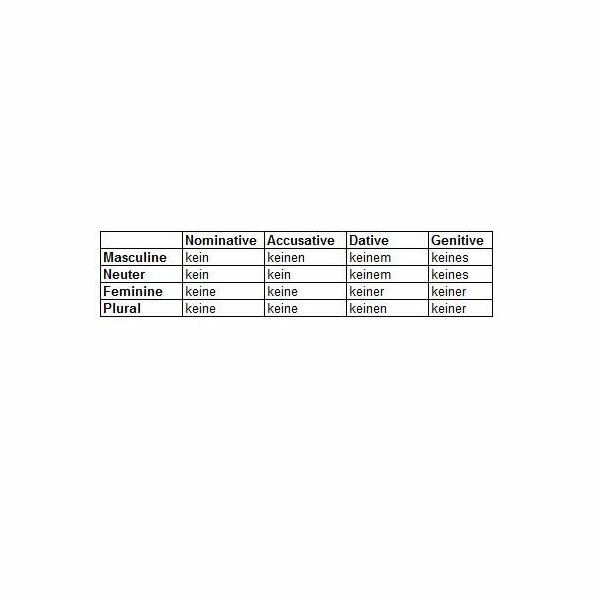 The following chart shows the forms of kein in the nominative, accusative, dative, and genitive cases for masculine, neuter, feminine, and plural nouns. Remember that the ending of kein must match the gender and case of its noun. Kein or Nicht for German Negation? English-speaking German students often have trouble deciding when to use kein and when to use nicht to negate sentences in German. In English, the use of the adverb not (or nicht in German) is preferred to negate sentences. However, in German, the use of the indefinite article kein (or no in English) is preferred for negation. Therefore, the German students should follow the following rule for sentence negation in German: "If a noun can be negated with the indefinite article kein, then kein should be used instead of nicht to negate the sentence." For more information on the use of the adverb nicht for German sentence negation, please refer to Teaching First Year German Students to Negate Sentences with Nicht.